An X-ray exam is a noninvasive medical test that uses ionizing radiation to create images of structures inside your body. It is most often performed to help a physician diagnose and treat medical conditions. An X-ray image is made by passing radiation through the body onto specially-treated plates (similar to film used in old-fashioned cameras) or onto a digital recorder. The technology creates a negative or shadow image—the more solid a structure is, the more it will block the X-ray beams, and the whiter it will appear on the X-ray image. For some X-ray exams, doctors use a substance called contrast material, a kind of dye that enhances the visibility of structures in the image. Different parts of the body allow varying amounts of X-ray beams to pass through, so an X-ray image carries a lot of information. Soft tissues in the body, such as blood, skin, fat and muscle, allow most of the radiation through and appear dark gray on the image that’s created. Bone blocks most of the radiation, so it looks white; radiation gets through any fractures or cracks in the bone, so a break looks like a dark line. A tumor, which is denser than soft tissue, also looks white. X-ray technology is also used in other types of diagnostic procedures, such as computed tomography (CT) scans, which use a combination of X-rays and computer technology to produce extremely detailed images of structures inside your body, and fluoroscopy, in which X-rays are used to visualize internal organs in motion, like an X-ray movie. Where you go for screening matters. Learn more about our extensive range of conveniently-located imaging services. X-ray imaging is the oldest and most frequently used form of medical imaging. It is used for a wide variety of diagnostic purposes, from identifying cavities in the teeth to detecting and evaluating a tumor. Among many other things, an X-ray exam can also look for inflammation, check the positioning of a medical device and diagnose the cause of unexplained symptoms. When it comes to X-ray images, the radiologists at Northwell Health Imaging are the power behind the exam. Every X-ray is performed with state-of-the-art technology and interpreted by a fellowship-trained radiologist whose diagnostic skills have been honed by specialized training and thousands of hours of experience. If you need additional care, your radiologist will work side by side with the rest of your care team, collaborating closely to answer your questions and help guide your care. 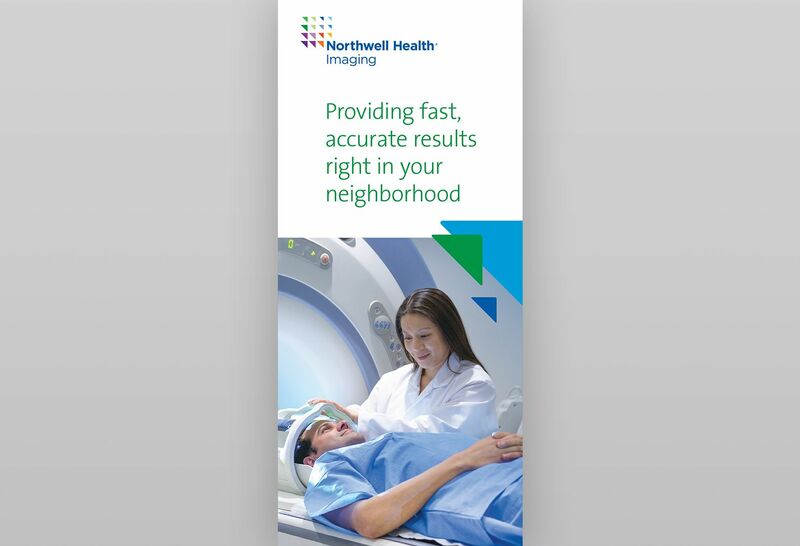 Northwell Health Imaging offers the largest group of fellowship-trained and subspecialized radiologists on Long Island, as well as access to all the resources and clinical expertise of New York state’s largest health system. Whether you are here for screening, diagnostic or treatment imaging services, each of our practitioners is committed to providing a caring, comfortable environment and a positive, productive experience. X-ray imaging uses ionizing radiation, and there is always a small risk of developing cancer from excessive exposure to radiation. However, care is taken during X-ray exams to use the lowest radiation dose possible while producing the clearest and most helpful images for evaluation. For example, the dose of radiation typically used for a chest X-ray is similar to what you naturally get in ten days of exposure to the environment. Allergic reactions to contrast material used in some X-ray exams are possible, though rare. You should always inform your physician or X-ray technologist if there is any possibility you might be pregnant. Many X-ray imaging tests are not performed during pregnancy to avoid exposing the fetus to radiation. An X-ray exam may be done as an inpatient or outpatient or at an emergency department. You will be asked to remove some of your clothes and to wear a gown during the exam. If you are wearing jewelry that could interfere with the exam, you may be asked to remove it, including piercings, if possible. You may also be asked to remove hearing aids and removable dental work. You cannot feel X-rays, so an X-ray exam is generally painless, unless you feel discomfort at holding the necessary position or positions. The technologist will place you appropriately for the particular exam being performed—you may be lying on your back or side, or sitting or standing. When it is time to take the images, the technologist will walk behind a wall or into the next room, but will always be able to hear you and speak with you. You must hold still and may be asked to hold your breath as each image is taken to reduce the risk of blurring. When the exam is completed, you may be asked to wait until the radiologist reviews the X-rays in case any additional images need to be taken. Many X-ray exams require no special preparation; your doctor will inform you if you need to take any steps before your exam. Your X-ray will be read (interpreted) by a subspecialized radiologist and the results will be promptly shared with your physician. Your doctor will determine if any follow-up care is needed.